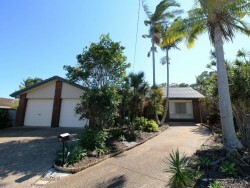 Aroona is a popular residential area situated between Little Mountain and Currimundi, approximately four kilometres from the Caloundra CBD. Deriving its name from an Aboriginal word possibly meaning “refreshing place” or “place of running water”, Aroona offers a family-friendly atmosphere, housing affordability and great lifestyle advantages. The suburb features excellent community infrastructure including Talara Primary College, parklands and public transport as well as being convenient to town and the beach. Aroona has been a high demand location for Henzells since the company – in conjunction with the Ford family – were the first to begin development in 1960s starting the gradual transformation of an area once occupied by bushland and pineapple farms to the sought-after coastal suburb it is today. Current Properties For Sale In "Aroona"